120th Bishop Wilton Show & Craft Fair 2019 - bwshow's JimdoPage! The finest local show in East Yorkshire in its 121th year! Welcome to our 121st Bishop Wilton Show where you can contact the Show and findout what its all about. If you have a trade stand or craft stall please download the forms and send them in to the address on there. Prices are also on the forms. We have secured a main ring attraction for 2019 including the Knights of Nottingham as part of a more extensive entertainment programme of music and entertainment. They will be jousting and carrying out stunts throughout the day and will be an amazing sight on the day! Our Show is dog friendly so we will be having many more dog classes and dog agility so please bring your pooch along to enjoy the day as well. Last year was amazing and this year we are hoping to do better. There will be a classic car road run so please enter by using the form located on this page VINTAGE AND CLASSIC CARS. We will have a Agricultural History education area showing both machines from the past to the present. This will include hand tools and equipent from a bygone age. Further entertainment includes a reptile Show within its own marquee and this is to form a interactive display along with professional handlers. Bishop wilton WI is 100 years old this year so there will be extended displays and exhibits for everyone to enjoy. Also if you have any photos that we could use for promotion purposes with your permission please can you e mail to the Show Secretary. Its a really good family day for everyone so please come and join us! Horse and Pony Entry Form - Now Available! Visit the tab on the right hand side. 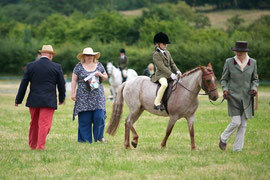 The Horse and Pony Classes are now available to view - please visit the heading on this website. This should give you plenty of time to decide which classes are suitable for you to enter. We look forward to seeing you on show day. Entry fee for all classes £5.00. CLOSING DATE FOR POSTAL CLASS ENTRIES - WEDNESDAY 6TH JULY 2016. Follow signs along the A166 Stamford Bridge to Bridlington Road. The show will be well signposted on the day. Enter, Show and Sell at the 2018 show. Please follow each section's own headings for this year's forms. Ponies Association (UK) Affiliation number 013/SUM/7040. It all started in 1897 as the Bishop Wilton Flower Show in a tent erected in the school yard. In the early days it was accompanied by a cricket match, sports, a brass band and an evening dance. By 1907 a competition for mares, foals, cows and pigs had been added. Find out more about the very first Show on the Local History Site (including a copy of the first Show Programme). Also, the earliest known photograph of the Show, from 1923, can be viewed there. There was a South African connection with the first Show which is explained in an article on the Local History site.